When Is a Will Filed in Probate Court? A will must be filed in probate court before commencing legal proceedings to settle the estate. Probate is the legal procedure used to appoint a person to oversee the estate's affairs, settle disputes among heirs and distribute the deceased person's assets in accordance with the will's provisions. A will may be filed for safekeeping while the person, or testator, is still living. The document may be filed in the surrogate or probate court office or the probate division of the county clerk's office, depending on the state. The testator usually seals the will in an envelope with identifying information on the outside. The court clerk who files the document and the other court employees do not see the contents at any time. The heir or representative of the estate -- an attorney, for example -- of a deceased person may file an original will to start legal proceedings. The will is typically not sealed if the person is already deceased. A will filing for safekeeping purposes may be done at any time by the testator, in accordance with the business or intake hours of the receiving department. The testator generally has to be at least 18 years of age with valid state identification such as a driver's license. A deceased testator's will may be filed as soon as the estate wishes to start legal proceedings and has a death certificate. Wills are sometimes filed a year or more after a testator's death because the original will could not be immediately located, a new asset was discovered or another event required probate of the estate. A will that was filed for safekeeping may leave less room for the heirs to contest, as the validity of the testator's signature and level of mental competence is more difficult to question. However, a will filed many years before the testator's death may be outdated and include provisions for now ex-spouses or omit children born after the filing. More than one will may be filed once a person has died. The estate may file multiple original wills from different years and ask the court accept the newest will, as withholding a prior original will may lead to challenges from unsatisfied heirs. A will is never filed in some cases, such as if the estate does not contain enough assets to warrant probate under state law; however, some states require the will be filed even if no probate will be started. An estate with no assets may chose to forgo probate proceedings even if the will was filed for safekeeping. Some states allow heirs to open an estate for record purposes to clear a legal ownership issue surrounding an asset. 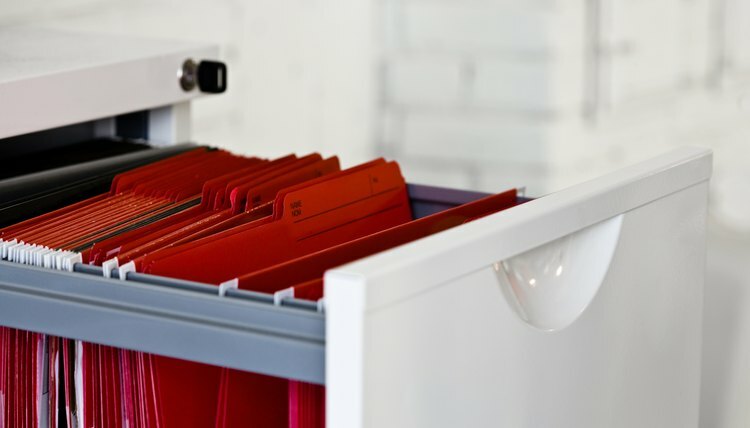 The will and probate petition are filed, but the papers are marked to note that the filing is for records only and that the proceedings are not completed. A last will and testament typically becomes public information once the person is deceased and probate has been initiated or completed, depending on the state. The will is usually available for viewing in the court clerk's office of the probate or surrogate's court where the estate proceedings were held. A will may not become public information after death if legal proceedings are not started for the estate.